Music therapy uses elements of music such as rhythm, melody and harmony to promote, maintain, and restore mental, physical, emotional, and spiritual health. At The Children’s, we are fortunate to have 2 music therapists on staff, who offer consultations with hospitalized children, as well as children undergoing treatments at the MCH. By playing with different instruments, singing familiar tunes, writing songs, as well as moving and playing to music, MCH music therapists hope to promoting communication and expression in patients. 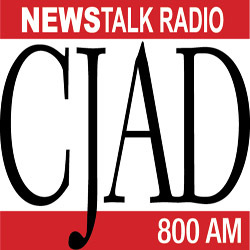 Recently, Christelle Jacquet, one of the MCH’s music therapists, was an invited guest on CJAD Radio’s Laxer Live Show with Dan Laxer, to help demystify the practice of music therapy and to talk about many of the benefits shown in young patients.